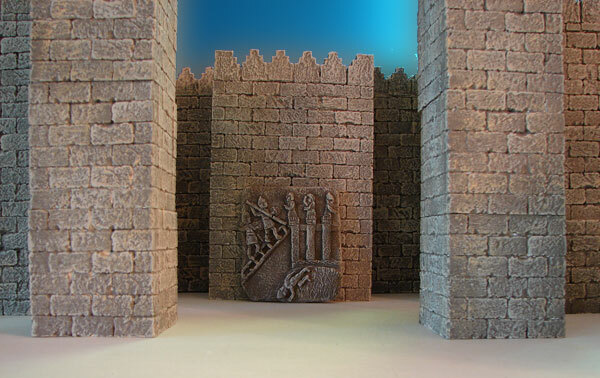 This miniature replica is of Assyrian soldiers scaling a ladder to destroy an enemy fortress. 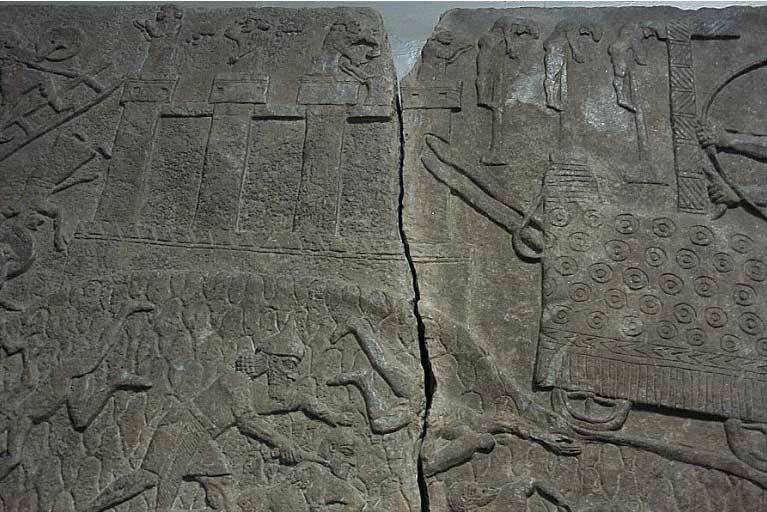 The soldiers are from the army of Tiglath Pileser, King of Assyria, and the relief was excavated from his palace at his ancient capital, Nimrud. The bas-relief was discovered at the site of ancient Nimrud during the reign of Tiglath-Pileser III (747-727 BC). The original is located at the British Museum in London. The limestone relief is part of a stone carved wall panel about 3 feet tall. 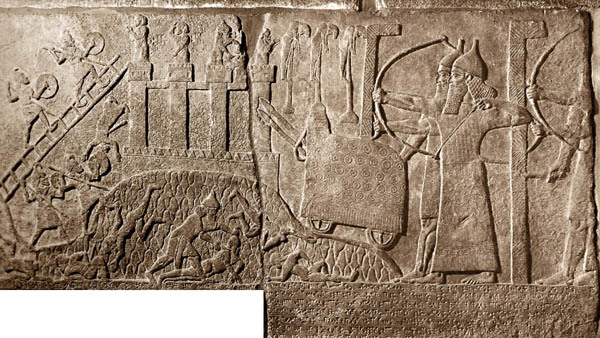 Another siege with a battering ram had been depicted on a stone relief at the Assyrian royal palace in Nimrud, where the city is called 'Gazru' or Geber. The siege happened in the land of Judah and was conducted by the Assyrian king Tiglath-Pileser III, between 734 and 732 BC. 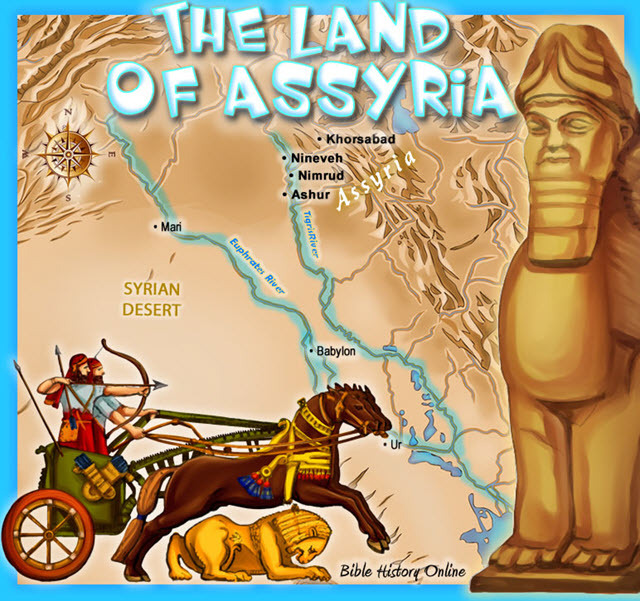 The city was probably captured by the Assyrians at the end of the campaign of Tiglath-Pileser III to Judah. Recent archaeological excavation at the site reveals that not long after the city fell into Assyrian hands it became an Assyrian administrative center.